3 Beds 3 Baths 1 Partial Bath 2,254 Sq. ft.
Fabulous & hard to find end unit backing up to wooded area. Built with every imaginable upgrade a buyer could want. Gorgeous ''wood look'' tile floors on entire 1st floor, stairs & master suite, lighting from Avenues Lighting, plantation shutters & remote control shades on sliders. Gourmet kitchen with quartz countertops, custom tile backsplash, 42'' cabinets, SS refrigerator, gas cooktop & large island. 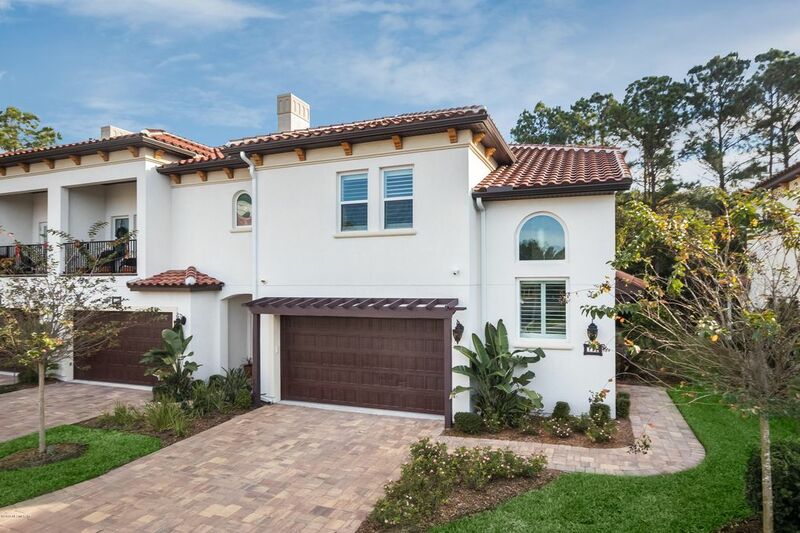 Upstairs lux master with incredible oversized walk-in shower, custom designed closet. Smart Home technology with nest, security system with cameras, natural gas. Mediterranean architecture. Paver screened porch & paver driveway.